Rose Valley, as Will Price invented it, is an Arts & Crafts movement treasure. The buildings he designed according to the philosophy of William Morris and the creativity that flourished in the valley made a Utopian Community that is unique in the world. 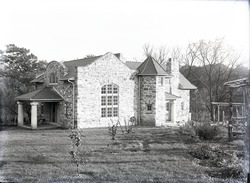 The activities of artists like Alice Barber Stephens, William P. Jervis and Wharton Esherick make Rose Valley an essential reference for all those interested in the Arts and Crafts movement in America.